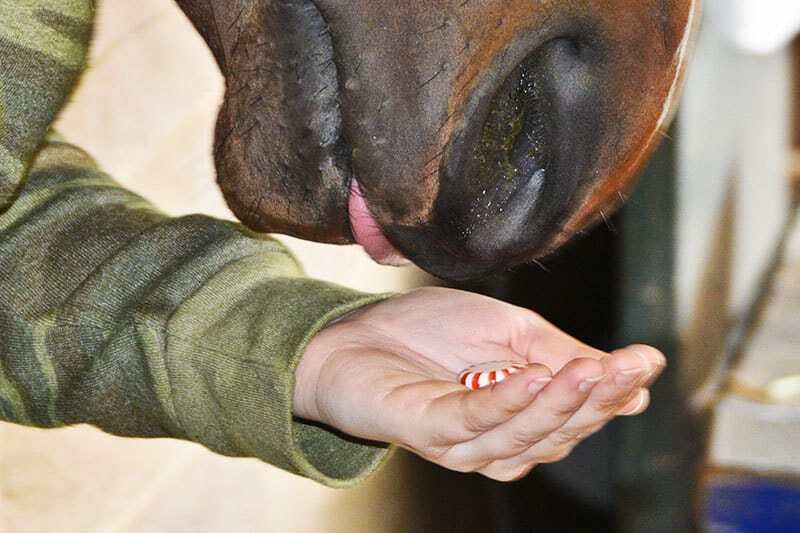 Mindful feeding makes rewarding horses a treatEvery time he leaves his favorite restaurant, Jack Dinoffri fills his pockets with peppermint candies for his nieceâ€™s horse. And he encourages his dinner guests to do the same.â€œWe have to have treats for the horse, you know,â€ he tells them.Even though he doesnâ€™t own a horse himself, Dinoffri knows most horses have a pretty tough time turning down something sweet. He also assumes that most people who do own horses canâ€™t resist feeding them treats from time to time.